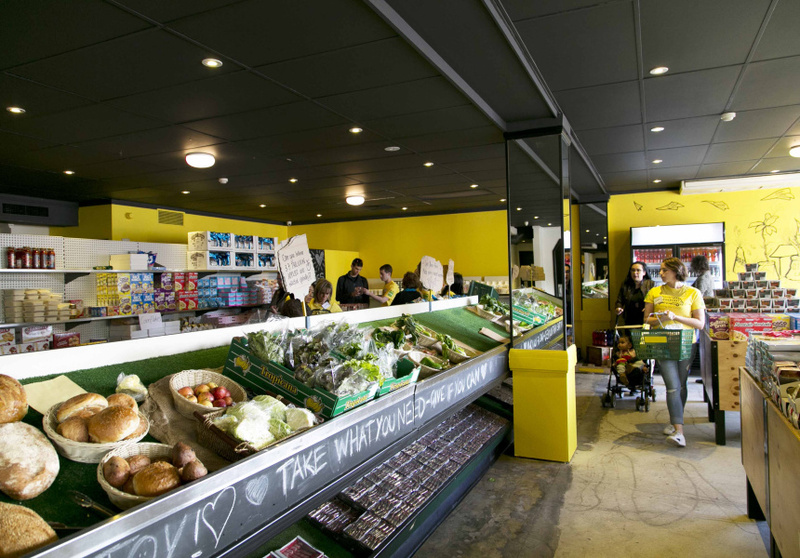 At OzHarvest’s marketplace, old carrots and tins of beans past their display-by date are treated with respect and dignity. Ripe, rosy tomatoes, otherwise destined for the dumpster, are piled up proudly. Over the aisle, juicy apples are organised into a pyramid beside bananas. Everything is free for those who can’t afford to pay for it. Or you can donate an amount you choose. The grocery store aims to combat hunger, reduce food waste and help the environment. It was the first of its kind in Australia. Food waste in Australia costs an estimated $20 billion each year. Australian consumers waste 20 per cent of food purchased and throw away one in five shopping baskets of food every year. Four million tonnes of food ends up as landfill, where it decomposes and emits methane, a potent greenhouse gas. 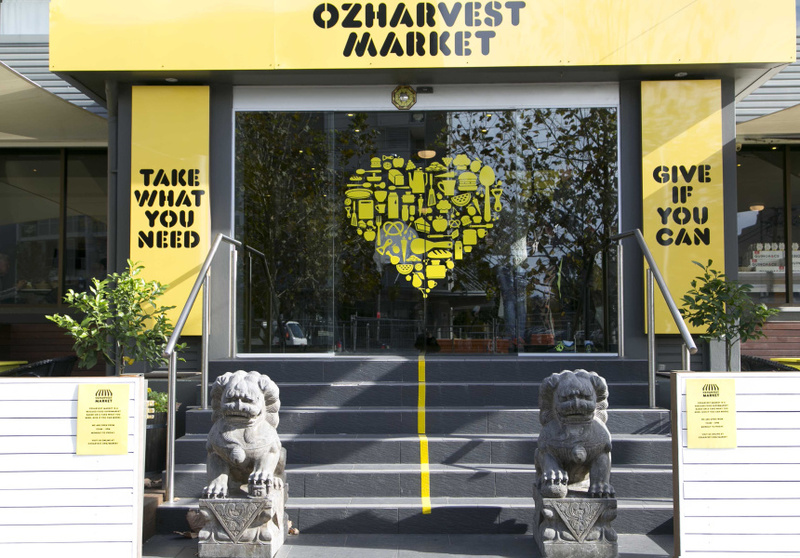 OzHarvest rescues food from 2500 donors. Subtle “defects” such as a freckle or bruise, or even a mislabelled box, are what usually leads to perfectly good food being thrown out. 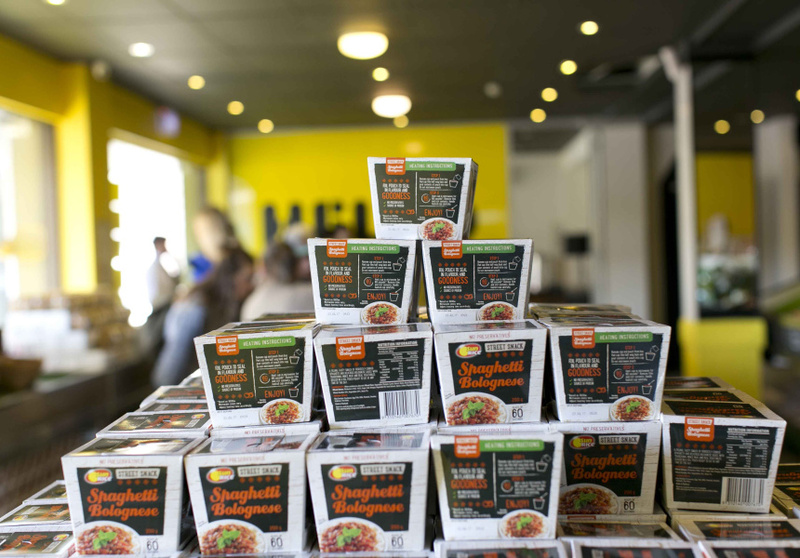 There’s a range of products including fresh fruit and vegetables; bread; tinned goods; frozen meals; drinks; and toiletries and home products. The shelves look different week-to-week depending on what’s been salvaged. Customers are encouraged to donate anything that they don’t want. The market is directly below The Addison Project, pop-up accommodation for vulnerable youth. The initiative was made possible by property developer TOGA, which donated the space.